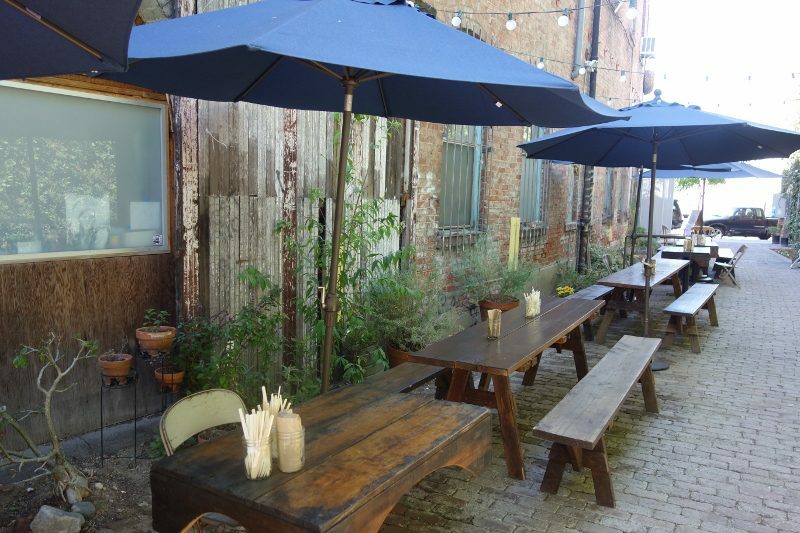 Tucked away in an alley in downtown Los Angeles’ Arts District is the Daily Dose Cafe. While an alley doesn’t sound charming, where Daily Dose is located is more like a secret hideaway. 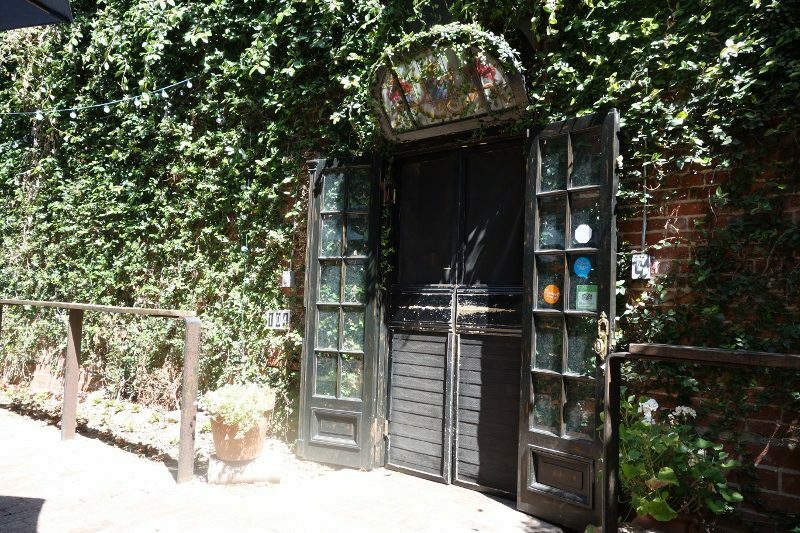 The buildings on either side are brick-lined with ivy climbing up them and wood tables line the way, making the outdoor area seem more like a private courtyard. But, more important than the seating is the food. 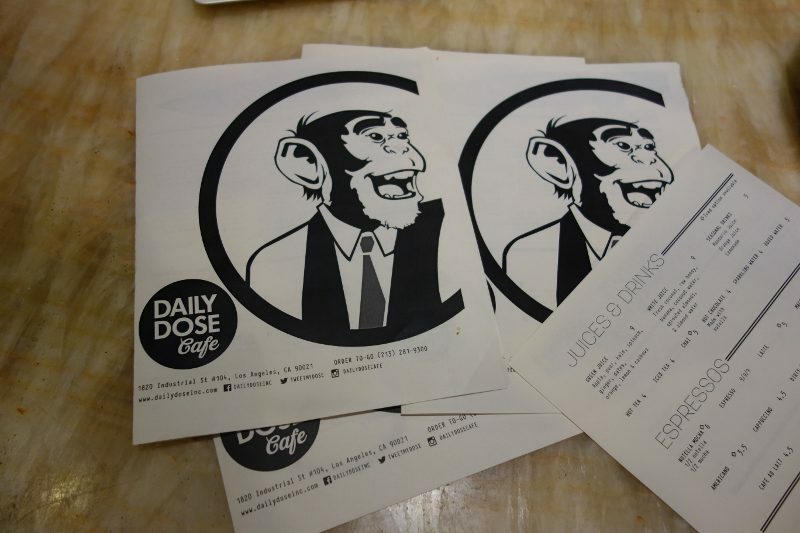 Daily Dose is a coffee shop and cafe. 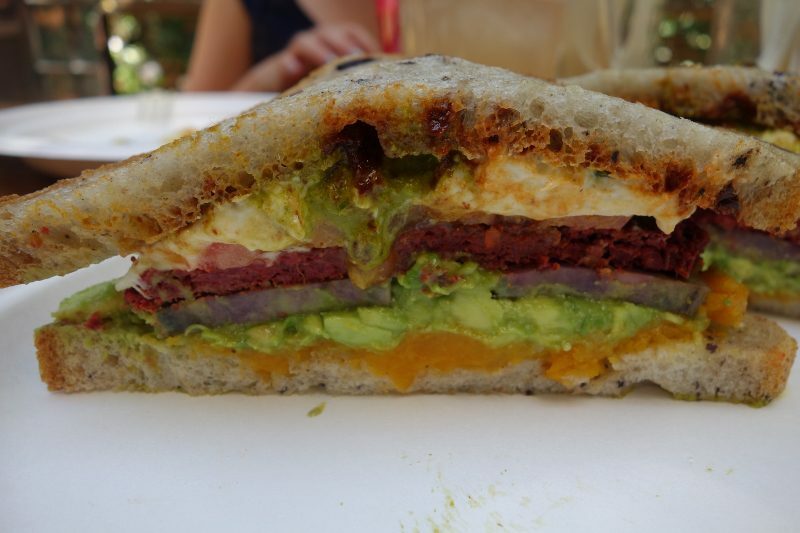 From artisanal coffee to both breakfast and lunch offerings made with natural ingredients sourced from local farmers, the menu is seasonal, fresh and full of flavor. 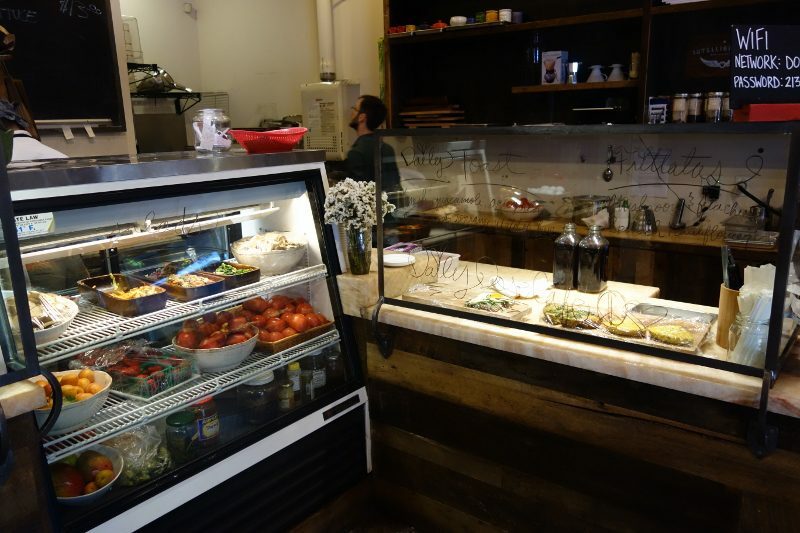 Co-owner Sarkis Vartanian can be found behind the counter and will eagerly tell you about the specials and where the ingredients come from. I met my friend there around 11am so we decided to do both breakfast and lunch. 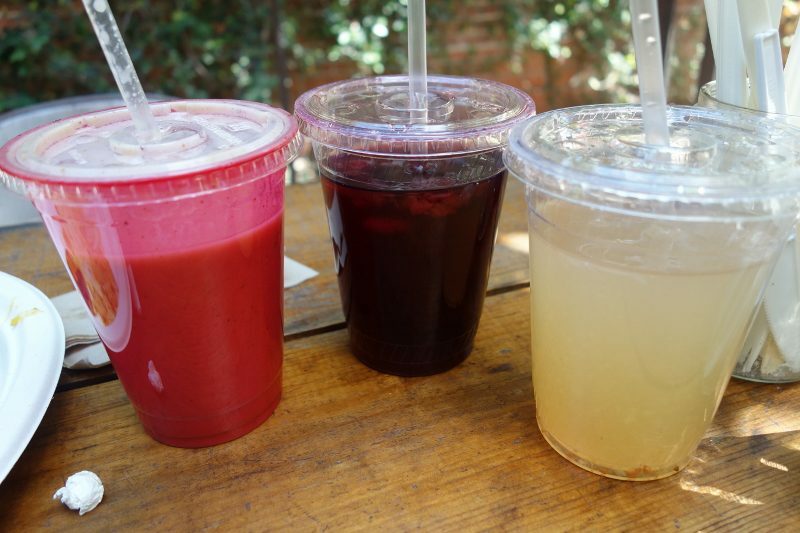 Juices made fresh daily – White Juice (fresh coconut, raw honey, banana, coconut water, sprouted almonds, almond water), Hibiscus Iced Tea and Apple Lemonade. 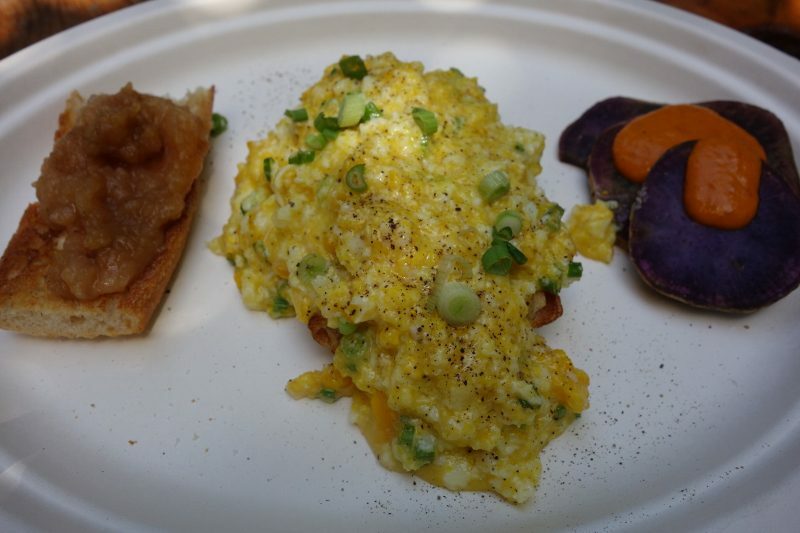 The Scramble (3 eggs scrambled on a baguette, served with arugula salad, root veggies in a sauce tomate) – Delicate and full of flavor, I absolutely loved the tenderness of the eggs with the cruchiness of the baguette. 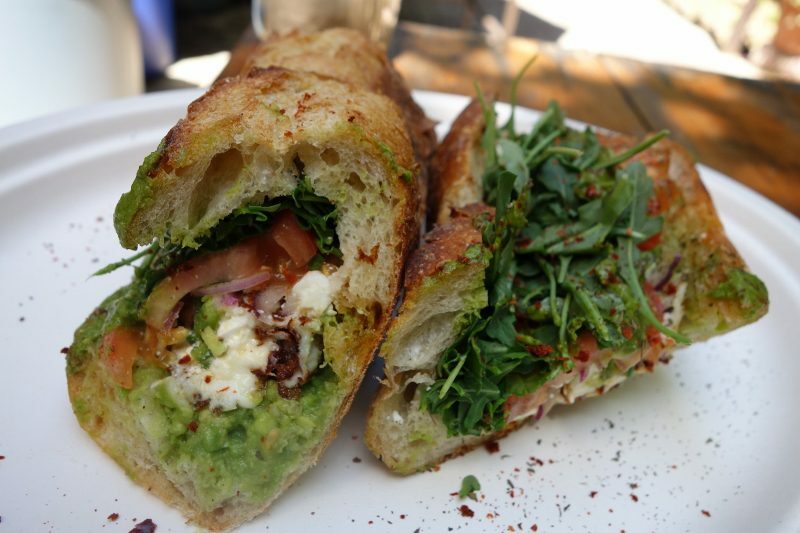 The Guildsmith (pan-fried avocado, tomato, serranos, feta, arugula and sauce verte on ciabatta) – The serranos gave this sandwich quite the kick! Go and get your Daily Dose today at 1820 Industrial St #104, Downtown (Eastside) Los Angeles! 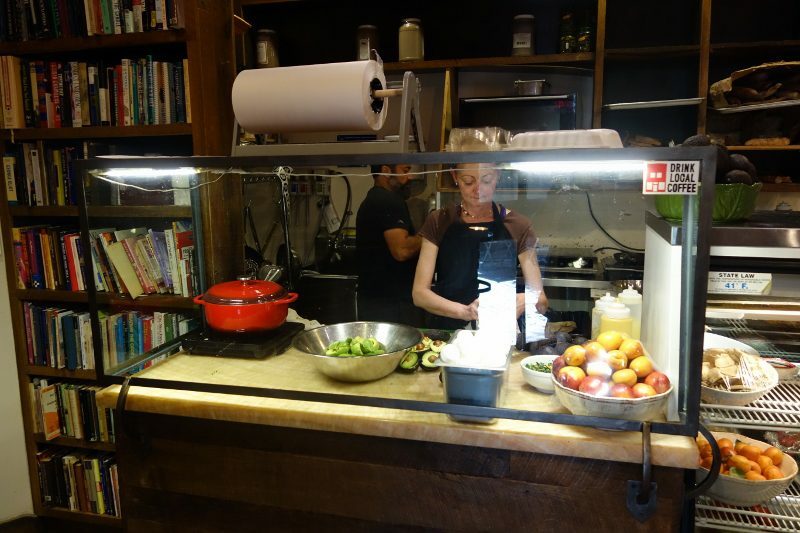 This entry was posted in Food and tagged Daily Dose, Daily Dose Cafe, downtown LA, Los Angeles’ Arts District, Sarkis Vartanian, The Farmer, The Guildsmith, The Scramble by Allison Levine.